Ross and I were once in the Antique and Collectibles junk business. 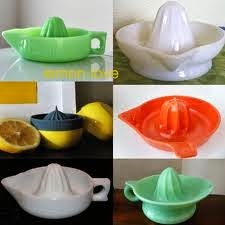 It started a dozen years ago when I walked into an antique shop and bought an old green glass juicer. It seemed like suddenly I had a collection of juicers. From juicers we progressed to costume jewelry for me and old postcards for Ross. We didn’t limit our buying to those things specifically. But they were our favorites. We slowly but surely turned into auction and estate sale addicts. 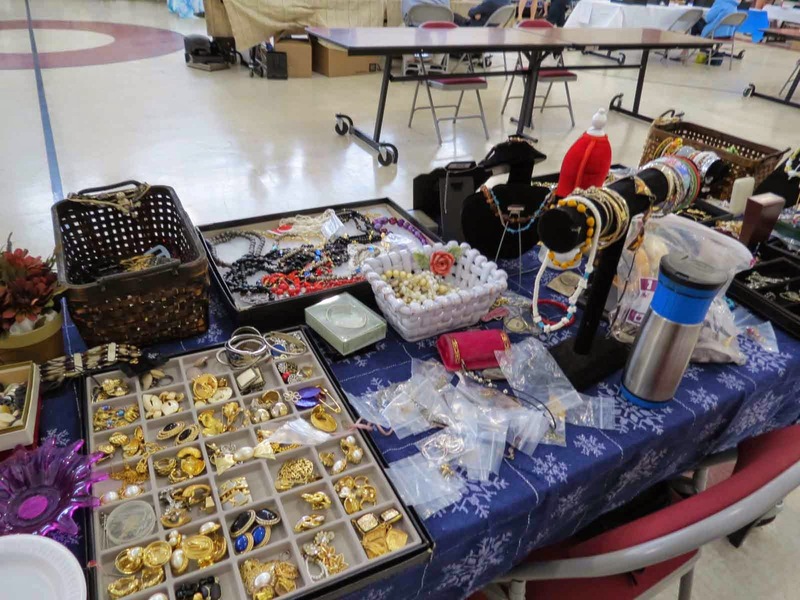 In order to pass along the “treasures" we acquired, we rented space in various antique malls. 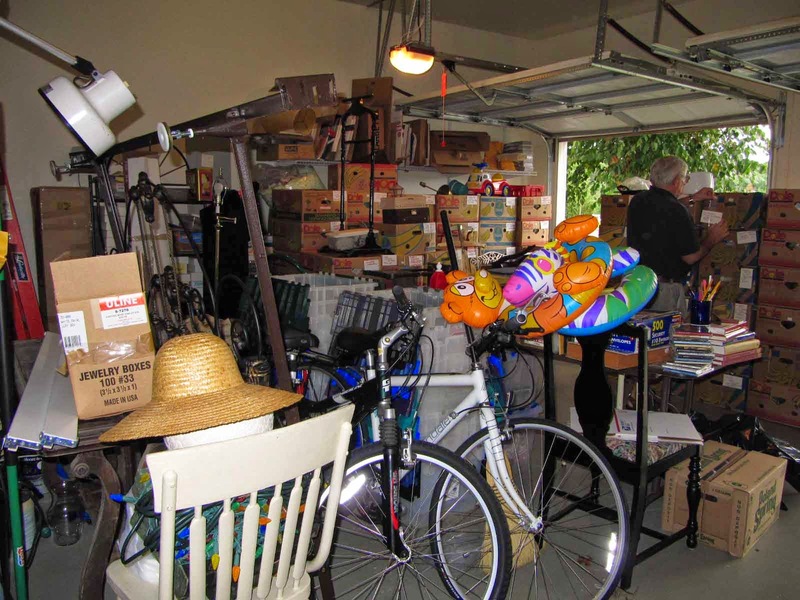 When our garage and office overflowed and there wasn’t enough space in our rented space to put more stuff, we would load up our SUV and head over to the large flea market in the area. 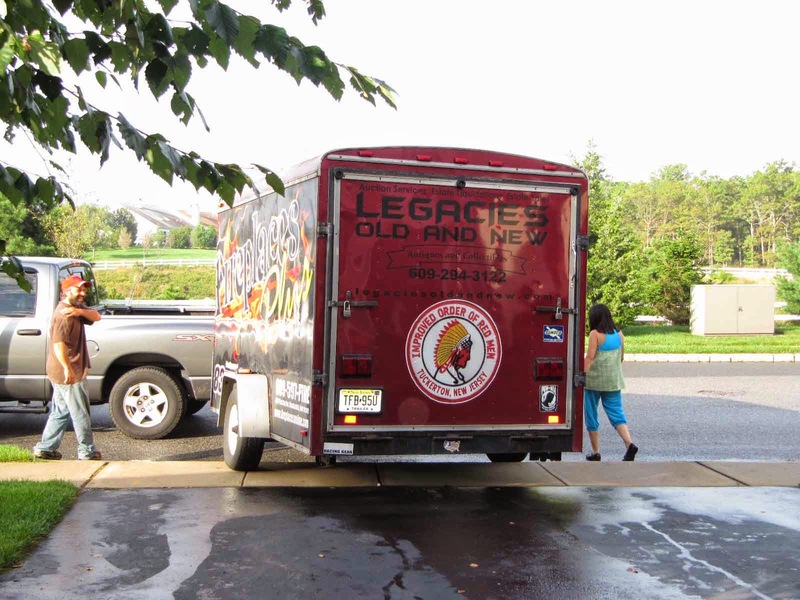 Finally, when our out of control buying came close to being highlighted on an episode of “Hoarders”, and there was no way we would outlive our stuff, we decided it was time to get out of the business. It took several weeks but Ross packed it all up and an auctioneer took it away. 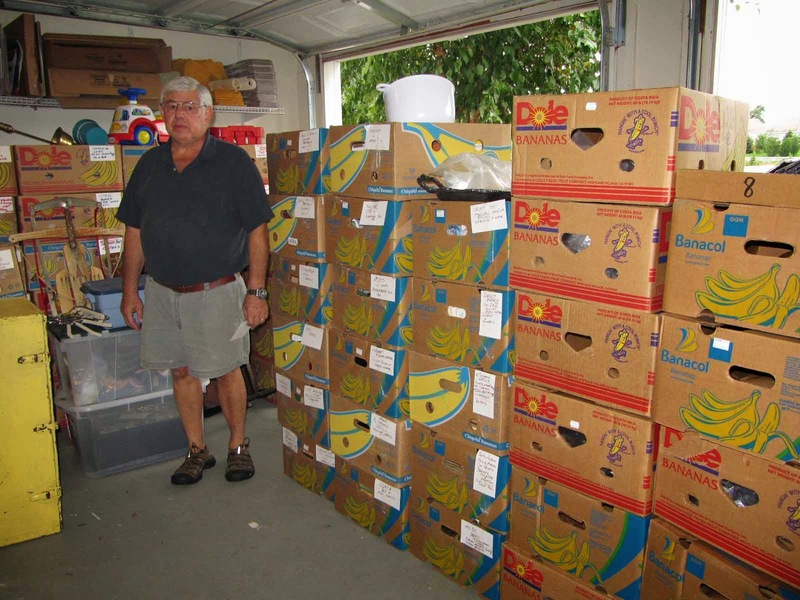 Now, we may go to an estate auction only three or four times a year. I still like the vintage costume jewelry and sell it on eBay. The problem with buying at an auction is that you have to buy whole lots of items. And in those lots there may only be a handful of quality items worthy of selling on eBay. The rest of the items start to accumulate once again. 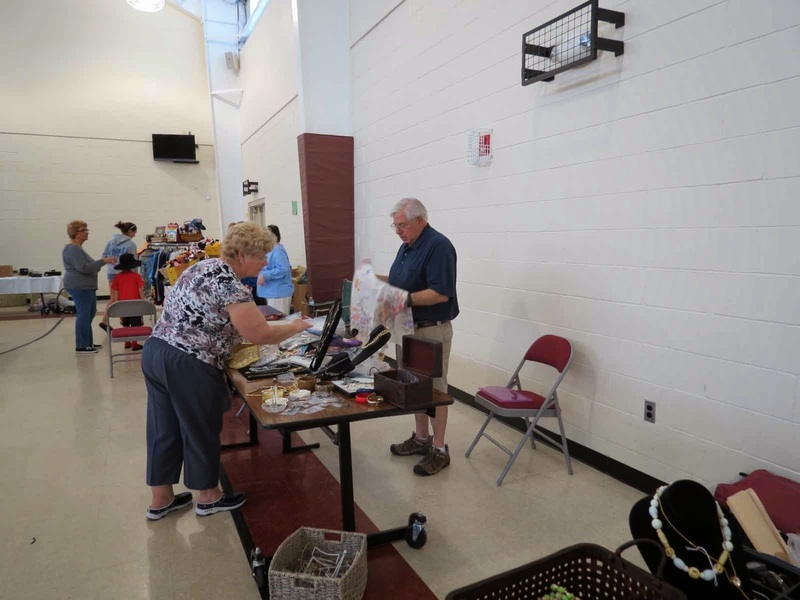 This weekend one of the local churches was sponsoring a flea market. On Saturday, Ross and I packed up our little hatchback with my boxes of jewelry and participated in the sale. Ross doing his best to convince her she needed it. I have to say, it’s not hard to attract women to shiny sparkly things. 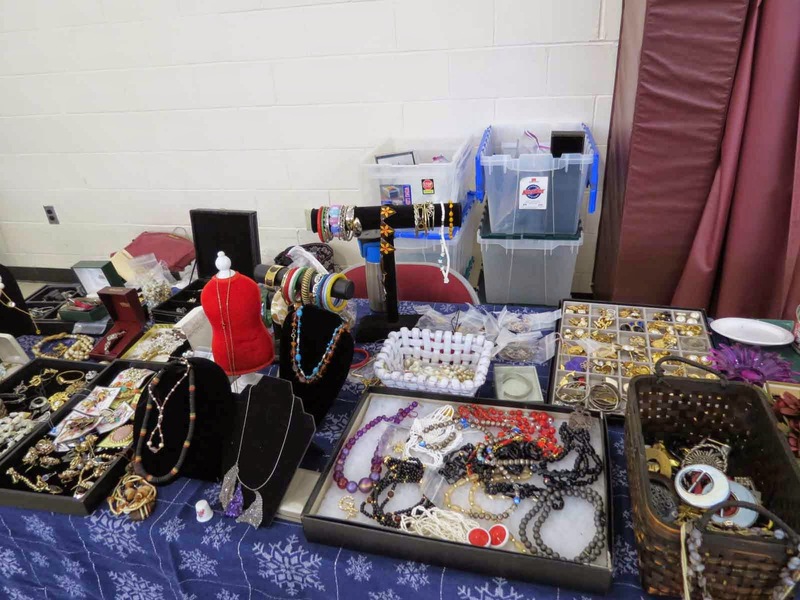 We sold $650 worth of baubles, bangles, beads and trinkets. We didn’t sell it all, though. Time to call the auctioneer again. At first it was fun. But then it did turn into too much work and effort. Twelve years makes a difference. We found it harder to haul and schlep. The flea markets are interesting, though. A sociological study for sure. A sociological study….a like that! I think I call it people watching, and it is one of my favorite things to do! Selling on eBay can be quite profitable. You have to be very careful, though, and understand that people are buying the item you are selling just by a photo and the description you provide. 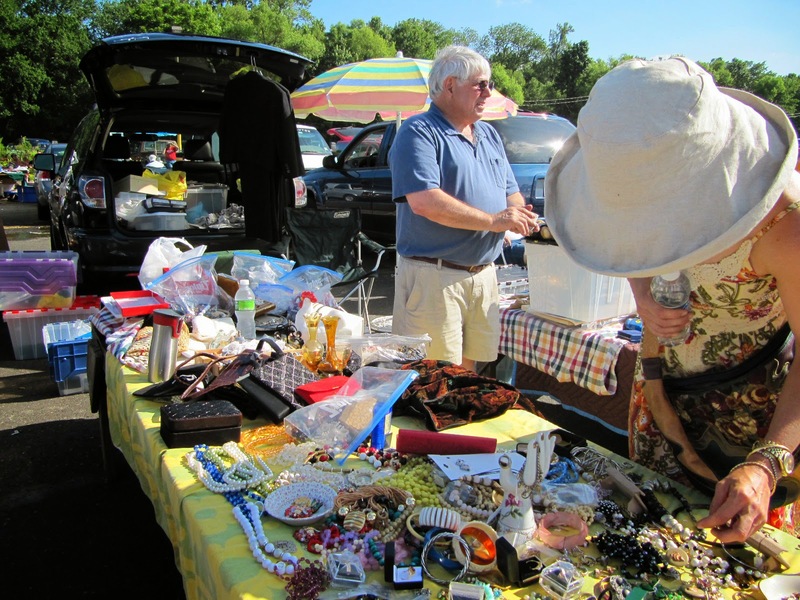 I quickly learned how important it is to describe the item I am selling in great detail. I make sure that I provide accurate measurements and that I mention each and every flaw. I have sold thousands of pieces of costume jewelry and have had only one or two dissatisfied customers. The other amazing thing is that I don’t think anyone can totally predict what another person might be interested in. Things that I think will sell, sometimes don’t and other things, which I think no one would ever buy, can cause a bidding war. Go figure. You are probably right, the woman you sold your mother-in-law’s jewelry to most certainly made a profit. But when I sell something I just wish the person good fortune with it. That’s the only way to look at it. I've erased my own comment twice now...note to self, have more coffee. Get new glasses. When I get mad, I throw stuff out. I might do some of that right now...ha. We don't have clutter. I married Mr. Stuff N. Clutter. So I guess that now makes me Mrs. Clutter. Liz, if you are serious about having your great-grandmother’s old customer jewelry, you really should research it. The old stuff is rather interesting and can be quite valuable. eBay is a great place to start by browsing through the “vintage costume jewelry” category. Love your blog. Read some of your past ones. You should write a book. You have quite the knack for it.Look forward to following your blog. Hi Rose. Thanks for the nice words. I enjoyed my visit at your blog. I'm not ready to get rid of my stuff yet...almost. Your garage kinda looked familiar. Once we finished that huge clean out in our garage we were finally able to fit both cars into the garage for the first time in 10 years. It was well worth it during the winter, especially when it snowed. Unfortunately, I'm far too much of a "collector" to ever be a dealer! I'm visiting from the A to Z challenge list. One of the blogs that my team participated in the challenge with is Poetry of the Netherworld. Thanks for the visit. I am trying to get in as many possible visits to other blogs as well.